Taking her vegan cheese revolution to an exciting new plateau, c elebrated chef, author, television personality and vegan food advocate Miyoko Schinner continues to expand her widely-praised line of Miyoko's Creamery authentic handcrafted vegan cheeses (www.miyokoskitchen.com) - all of which are fermented with real live cultures and made from real food such as organic cashews; certified organic; and aged just like traditional dairy cheese. I chatted with her recently. 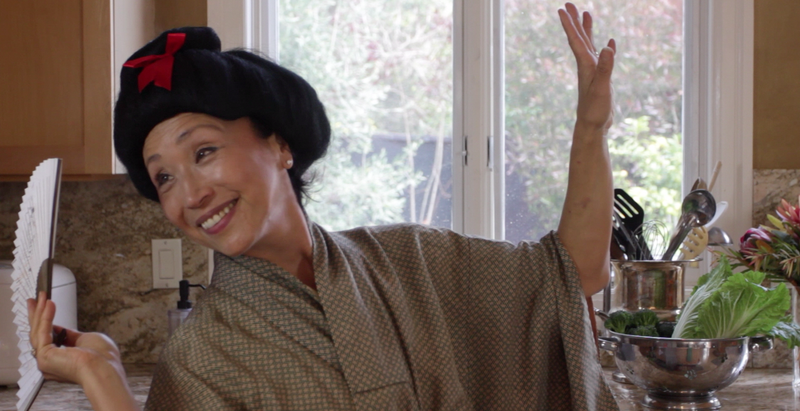 Stacey Chillemi: Chef Miyoko, please tell us a little about yourself and your background prior to creating Miyoko's Kitchen. Chef Miyoko: I adore the magic that happens in a kitchen: not just the food, but the joy and community it creates. After becoming a vegetarian overnight at the age of twelve, I was literally thrown into the fire when my mother decided just as quickly that she was no longer cooking for me. In high school, I held baking contests at home and read through the entire Time-Life Good Cook series. Returning to the land of my birth, Japan, after college, I discovered French cuisine and ate everything I possibly could that was laden in dairy but not meat (there are more Michelin-starred restaurants in Tokyo than all of France!). Eventually, I realized the toll that it was having on my health and became a vegan. To satisfy my craving for rich foods, I gave myself a culinary education by reading every French and Italian cookbook I could get my hands on, and then applied those techniques to vegan ingredients. In the early 1980s, when resources for vegan cuisine were limited, re-creating those dishes presented a thrilling challenge. I began to teach, doing cooking demos at department stores in Japan, and opened a wholesale bakery, lugging 60 pounds of pound cake in a backpack, delivering them to stores all over Tokyo by train. (I still have that backpack--now my daughter uses it to go camping). At night, I sometimes moonlighted as a jazz singer, singing standards at clubs. I wrote my first cookbook nearly 25 years ago (The Now and Zen Epicure, Book Publishing Company, 1991) to dispel the myth that vegan food could not be gourmet. Back in San Francisco, I launched a vegan bakery, then a vegan restaurant (Now and Zen), where I went into labor with my second child during lunch rush (my third child came along only a year later, and I carried her in a bundle on my back as I ran around the kitchen). The restaurant eventually morphed into a natural food manufacturing company with national distribution, making everything from meat substitutes - including the UnTurkey - and cookies and pastries for United Airlines. Eventually, I sold the business to concentrate on raising my young family. My mission over the years has been to entice people to a compassionate, plant-based diet through delicious food. My passion for this mission has grown stronger each year, and now I carry that message to people around the country, actively promoting veganism through my books, talks, television shows (Vegan Mashup, seen on PBS) and cooking demonstrations. I am grateful to have been blessed with a life that allows me each day to rise and greet my ever-growing flock of rescued chickens, run with my dogs, cuddle with my cats, and enjoy life's adventures with my human family (a husband, Michael, and three grown kids-Aki, Sera, and Cammy). I hope that I can continue working the rest of my life to inspire people, through delicious food, to adopt a diet that can save animals, the environment, and their health. Stacey Chillemi: What are the biggest benefits of being vegan? Chef Miyoko: The biggest benefit is acknowledging that you are doing your small part to help reverse climate change and save the lives of animals. It doesn't hurt that it's healthier, too. Stacey Chillemi: What are the challenges of a vegan lifestyle? Chef Miyoko: Not much, truthfully. I see more positives than challenges. While many people feel that it is limiting or restrictive, what I've found is that most people start eating a wider range of foods when they go vegan. That's because they start thinking outside of the comfort zone of their box and start exploring. Once in a while, it can be a challenge to go to a remote part of the country where there aren't many dining options, but really, so what? So you eat a few boring meals. But that's better than harming animals and the environment. Stacey Chillemi: How does your typical day look like, in terms of the food you eat? Chef Miyoko: I usually start the day with a green smoothie, muesli with fruit, or oatmeal. Sometimes I have a Japanese breakfast of rice and natto. Lunch is usually a big salad or one of the amazing employee lunches we serve at Miyoko's Kitchen. Dinner is different every night - sometimes it is very simple, e.g. rice and veggies, or beans and salad. Other times, it's hand-rolled pasta with Umbrian Tartufo Sauce. It depends on time and our mood. Stacey Chillemi: Do you have any particular philosophy or rules you abide by when it comes to food? Chef Miyoko: Yes. Know your options. What that means for me is that once you know that you don't have to cause harm (to animals or the environment) in order to enjoy luscious meals, why would you? It's a choice we all have - as Gene Baur says, if we can eat and thrive without causing harm, why wouldn't we? I also choose largely unprocessed food, but believe that it has to taste good. In fact, it is delicious. Stacey Chillemi: Please describe the origins of the Miyoko's Kitchen brand and how you feel it differs from other vegan cheeses on the market? Chef Miyoko: It stems from years of research and experimentation - going back almost 30 years. I made a promise to a friend almost 2 decades ago that one day I would create some truly stellar vegan cheeses. It took me some years, but eventually I wrote "Artisan Vegan Cheese," which became a hit, and then finally decided to bring the product to market. Many vegan cheeses on the market aren't really "food" - they are highly processed forms of starch and oil, flavored to taste like cheese. Ours are real food - we use similar dairy cheese-making techniques to culture and age nutmilks instead of dairy milk. Our cheeses are also truly gourmet and can be featured with no excuses at any party, on any cheese board, to anyone. Stacey Chillemi: What are some of the reactions you've had since introducing Miyoko's Kitchen to the marketplace? Chef Miyoko: People seem enthralled by it - many have become evangelists, spreading the vegan cheese word far and wide! We have been very lucky. Stacey Chillemi: You're expanding your line of artisan cheeses with the introduction of new flavors and new retail outlets. Can you tell me what we can expect next as you continue taking your vegan cheese revolution to new plateaus? Chef Miyoko: We are about to be carried by a major natural food distributor, which will help get our products into many stores across the country, so we are really excited! We also plan to introduce new products in the coming year, so keep tuned! Stacey Chillemi: How do your cheeses differ from "traditional" cheese in terms of nutritional value, taste and texture - and can they be enjoyed by non-vegans as well? Chef Miyoko: Many of our customers are in fact not vegan at all. We get many letters and emails from folks who are lactose-intolerant or just plain omnivores. We've also had write-ups in the media by non-vegan authors, in fact, even a Certified Cheese Professional, praising our products. We really believe it is a product for everyone! Stacey Chillemi: You've just written a new book. Can you tell us the title and a little bit about it? Chef Miyoko: The Homemade Vegan Pantry, the Art of Making Your Own Staples (10 Speed Press/Random House). It's about making your own homemade, artisan pantry items, everything ranging from mayo to sour cream to cake mixes to meat substitutes to crackers and more. There are recipes for things that aren't traditionally vegan and may be hard to find, such as condensed milk, fish sauce, and stellar French Buttercream (made the French way). I have lots of ideas for actually shortening your time in the kitchen, and doing away with waste. It's a fun cookbook, and hopefully, will inspire folks to get in there and start playing around! Stacey Chillemi: What inspired you to write your book? Chef Miyoko: I give credit to my youngest daughter who one day complained about the vast amount of recycling and garbage we had of containers, containers, containers. I thought: all of this stuff can be made at home. Why don't I just start doing that? Stacey Chillemi: How did you come up with the title? 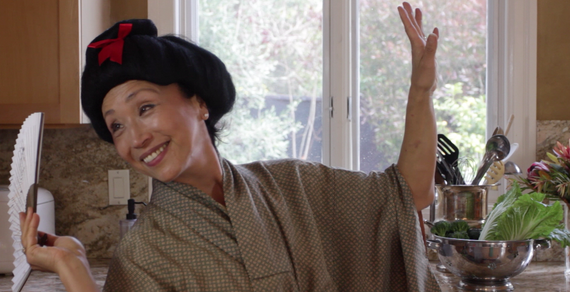 Chef Miyoko: My agent, Sally Ekus, actually came up with it. I had something far cornier. Stacey Chillemi: Who should read it? Chef Miyoko: Everyone! At least that's what some non-vegan reviewers have said! But especially DIY-ers, vegans, and anyone interested in taking the processed out and the artisan back in. It's a book that can help people break down the "science" behind foods you'd normally just buy, and get creative in the kitchen at the foundational level. Stacey Chillemi: Where can people buy it? 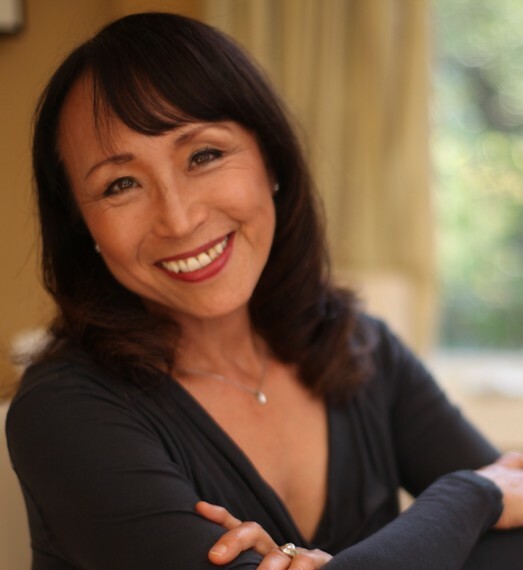 Chef Miyoko: According to Penguin-Random House, "anywhere where books are sold." You can buy it on Amazon, B & N, or your local bookstore. Stacey Chillemi: Where can we go to learn more about you? Do you have a website people can visit? Chef Miyoko: I have a YouTube channel with a smattering of videos www.youtube.com/miyokoskitchen, as well as a website that needs an overhaul www.artisanveganlife.com. I'm also co-host of Vegan Mashup, a show on Create, which airs on public television nationwide. Cut the mushrooms in half or quarters, depending on how large they are, so they are all fairly uniform in size. Pulse them in a food processor until they are finely minced but not mushy. Be sure not to process too long, or you will end up with a puree. In a large skillet over medium-high heat, heat the oil. Add the shallot and sauté until tender. For oil-free cooking: simply sauté the shallot with a dash of water. Add the garlic and mushrooms and sauté for 5 to 10 minutes, until the mushrooms are browned and moist but not wet looking. Add the truffle oil and cashew cream and stir well. Cook for 1 minute to let the sauce thicken, then season with salt and pepper. Toss with hot spaghetti, garnish with some chopped parsley, and serve immediately. Best enjoyed when freshly made; leftovers can be stored in a covered container in the refrigerator for 2 or 3 days. Do not freeze it or it will change the texture. Place the water and cashews in a blender and blend until smooth and creamy, about 1 minute. That's it! The cream keeps in the refrigerator for 1 to 3 days. Note: For a thicker cream, reduce the water by 1⁄2 cup. Miyoko Schinner Bio: "The enormously talented chef/TV host/singer/athlete/she-can-do-anything Miyoko Schinner is nothing short of a genius..." VegNews, December 2012 Miyoko Schinner, chef, author, entrepreneur, and television host, has been promoting delicious, decadent, and healthful plant-based foods for the past thirty years. She is the author of 5 cookbooks, including the best-selling Artisan Vegan Cheese (Book Publishing Company, 2012), hailed as "groundbreaking," "revolutionary," and "the holy grail of the culinary world." 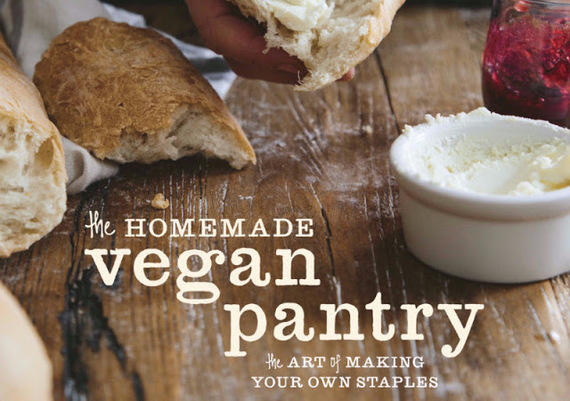 Her latest book, The Homemade Vegan Pantry - the Art of Making Your Own Staples (Ten Speed Press), is slated for release in June 2015. She is a co-host of Vegan Mashup, a national cooking show on Create TV (aired on public television).